PDF2Office Professional converts PDF files into fully editable Excel, PowerPoint and Word documents. PDF2Office Standard integrates directly with Microsoft Excel, PowerPoint and Word providing an effective low-cost solution for PDF to Excel, PowerPoint and Word conversions. PDF2Office Standard enables users to recover the data stored in PDF files - making them available for use by anyone. 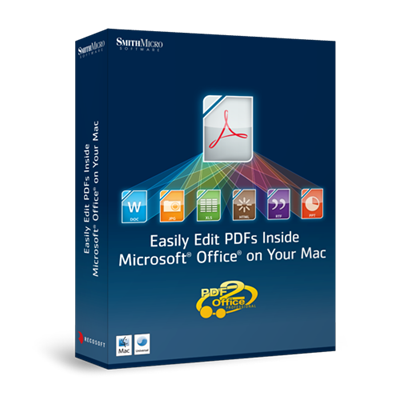 As PDF2Office is an independent tool, it eliminates the installation of additional PDF editing software. Manually substitute fonts and select the range of pages you wish to convert. For repetitive tasks, you can save conversion options as ttemplates and apply to future projects. Original file lost or corrupt? Recover information locked inside a PDF, and bring back it into a workable format.